This week for Anime Sunday I’m covering another series from the Summer 2017 season. 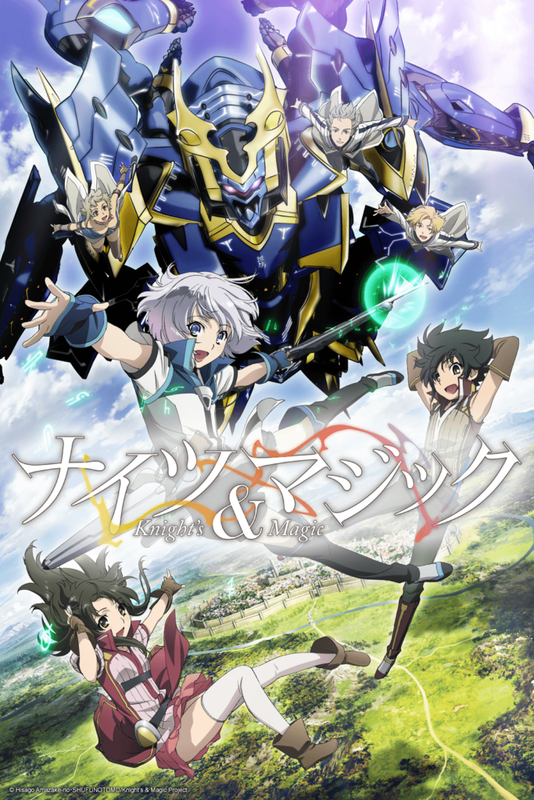 It’s my Knights and Magic Episode 01 Impressions! Plot: The plot pacing of this series is way too fast for my tastes, which is a pity because they could’ve doubled the number of episodes and the series probably would’ve done fairly well. But we’ll never know now most likely. The pace is half a Light Novel volume per episode, so two episodes equals a Light Novel volume. I’ve stated in the past this is just way too fast for most series, and I stand by that statement still. We don’t get to see Eru’s rebirth and him getting to actually learn magic and come to serious understanding of it and befriend Addy and Kid. Instead the entire School arc is pretty much skipped over, including probably huge plot points that will be key in later arcs. That being said it wasn’t a bad episode, it just went much too fast when I have my own prior knowledge of the actual source material. Characters: Eru is a decent main character, but we lack a ton of background on him that was glossed over in this first episode. Addy and Kid are severely lacking in character background, which is a pity as Addy’s relationship with Eru is much more expanded upon and makes her look not nearly as childish in the original source material. Art: The art isn’t bad, but it’s not ufotable quality at all. It could be better, but so could a lot of things with this series. Music: The music is okay, but it’s not super amazing either. Overall: This could’ve been a much better Anime, it’s a pity it got so screwed over with this adaptation. That being said it’s still fun to watch, just don’t read the original source material prior to watching. You’ll hate yourself. For those who like: Fantasy, Mecha, Magic, Action, Drama, Politics. Not for those who don’t like: Any of the above, or poor pacing. This week on Shoujo Saturday I’m covering a series I found recently and enjoyed quite a bit. 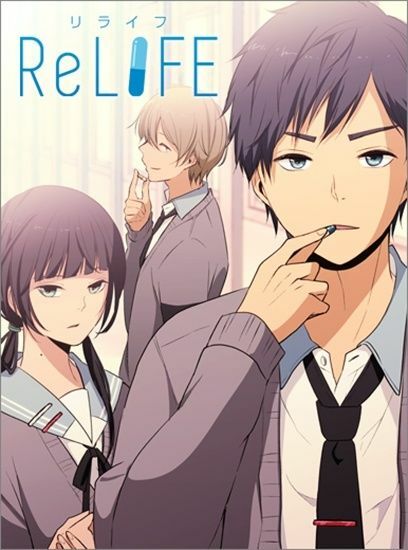 It’s ReLIFE by Yayoi Sou! Plot Synopsis: The story follows Kaizaki Arata, a 27-year-old jobless man who fails at every job interviews he had after quitting his last company which he only last three months. His life changes after he met Yoake Ryou of the ReLife Research Institute, who offer him a drug that can change his appearance to 17-years-old again and to became a subject in a one-year experiment in which he began his life as a high school student again. Plot: That premise is pretty interesting and the way it’s handled in the story is pretty good, I’m looking forward to the romances blossoming! Character: Arata is a pretty good main lead, and Ryou is a pretty good secondary character, but it’s the rest of the cast that makes this series. I particular like the homeroom teacher, she seem’s like a handful. Art: The art is quite good, spectacular actually considering it’s self-published. Overall: If you want a good slice of life series with romance, this a good one to read. For those who like: Slice of Life, Drama, School Life, Romance, Redos, Great Cast of Characters, Fantastic Artwork, Spectacular Plot. Not for those who don’t like: Any of the above, but how can you hate it? 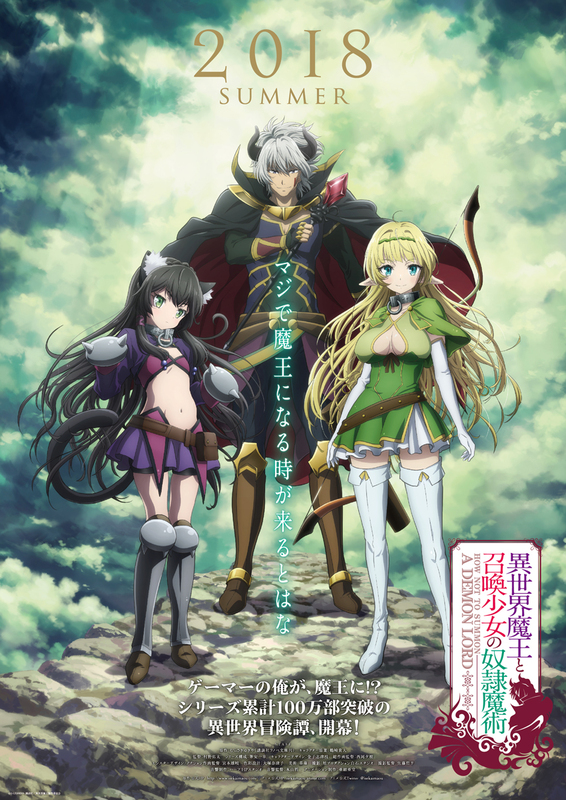 This week for Light Novel Thursday I’m covering a series that is pretty cool, and is getting a light novel adaptation very soon. It’s Gun-Ota ga Mahou Sekai ni Tensei Shitara, Gendai Heiki de Guntai Harem wo Tsukucchaimashita! ?, or Gun-Ota for short, by Meikyo Shisui! 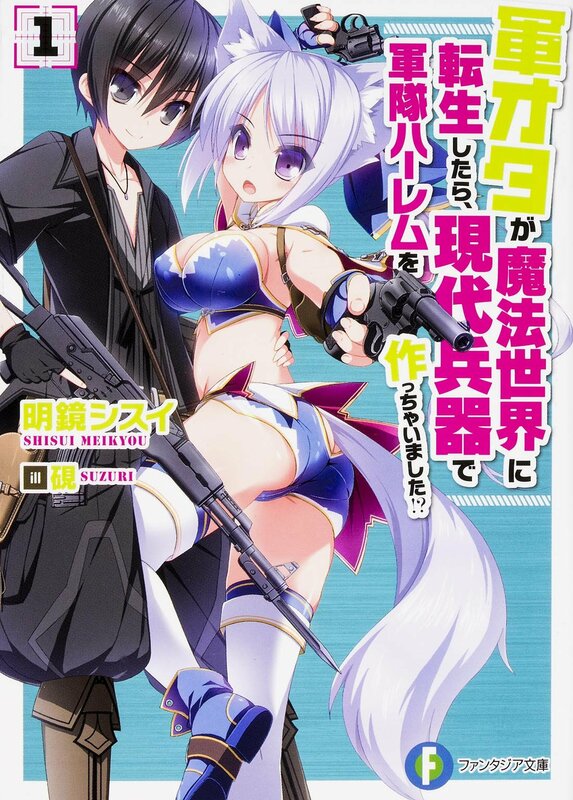 By the way the title translates into When Gun-Nerd is Reincarnated to World of Magic, He established a Harem Army of Modern Weapons!? Plot Synopsis: Houta Youta, 27 years old, a virgin, high school dropout, and a former hikikomori. His life had been pretty horrible since his high school years and now, on his way home from work at the metalworking factory, he gets stabbed to death by a drug addict. However, it seems that he has been reborn in a fantasy world. Plot: If that sounds familiar to Mushoku Tensei it should because Tensei means rebirth. Youta’s renamed Lute in this new world and he forgoes the route of the mage and instead creates modern weapons through trial and error which is pretty freaking cool! I’ve only read about 13 chapters of the web novel so far, but the series looks amazing so far. Characters: Lute is a badass genius who uses the knowledge from his previous life’s obsession with guns to recreate them in this new world. Snow his childhood friend is also fairly amazing as well, not to mention she’s a cute wolf-girl. I expect him to get many more girls to fall in love with him as time goes on, due to the title of the series. Art: From what little art I’ve seen so far, it looks freaking amazing. I can’t wait to read the Light Novel, and hopefully it sells well enough to continue! Overall: If you liked Mushoku Tensei or Knights & Magic you’ll love this series. 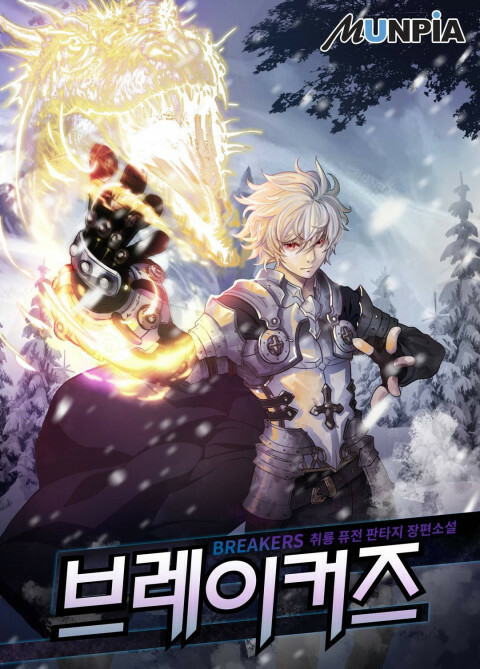 For those who like: Reincarnation Stories, Genius Main Characters, Cute Female Leads, Lots of Action.